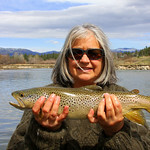 Fishing the lower Bitterroot on September 16, 2011. 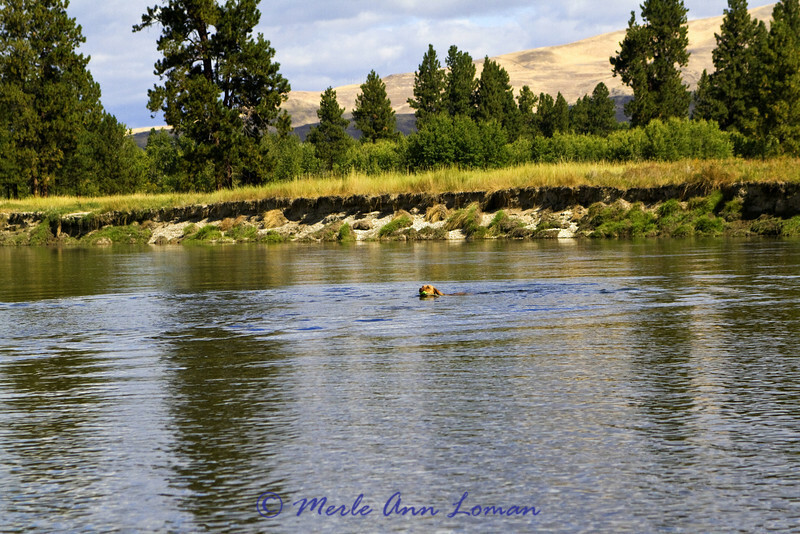 When we launched on the lower Bitterroot that day, the first wildlife I saw was the bald eagle. During the day, we saw a doe and two fawns on the banks, Pileated and Lewis' woodpecker, Kingfishers, about 15 Mergansers on a log (you know there were lots of fish there! ), a pair of Golden Eagles, multiple osprey, Great Blue Heron, river otter, and I can't remember what else! And we caught northern pike and rainbow, cutthroat and brown trout. Makes me exhausted thinking about it. Gotta love the Bitterroot. It was family day with Jack, me and our Chesapeake Bay Retriever, Freda. She is two years old and growing into a wonderful companion. Of course she had lots of fun on the river, too. Freda coming in with her dummy. She needs her exercise!